The Russian revolutionary Lenin (Vladimir Ilyich Ulyanov) in 1920. The Hungarian intellectual György Lukács (c. 1952) codified the theory and practice of Leninism in the book History and Class Consciousness (1923). Functionally, the Leninist vanguard party was to provide the working class with the political consciousness (education and organisation) and revolutionary leadership necessary to depose capitalism in Imperial Russia. After the October Revolution of 1917, Leninism was the dominant version of Marxism in Russia, and, in establishing soviet democracy, the Bolshevik régime suppressed Marxists who opposed Lenin, such as the Mensheviks and factions of the Socialist Revolutionary Party. The Russian Civil War (1917–22) thus included left-wing uprisings against the Bolsheviks (1918–1924) that were suppressed in the Russian Socialist Federative Soviet Republic (RSFSR), before incorporation to the Union of Soviet Socialist Republics (USSR) in 1922. Leninism was composed as and for revolutionary praxis, and originally was neither a rigorously proper philosophy nor a discrete political theory; after the Russian Revolution, in History and Class Consciousness: Studies in Marxist Dialectics (1923), György Lukács developed and organised Lenin’s pragmatic revolutionary practices and ideology into the formal philosophy of vanguard-party revolution (Leninism). As a political-science term, Leninism entered common usage in 1922, after infirmity ended Lenin’s participation in governing the Russian Communist Party. Two years later, in July 1924, at the fifth congress of the Communist International, Grigory Zinoviev popularized the term Leninism to denote “vanguard-party revolution”. For five years, from 1917 to 1922, Leninism was the Russian application of Marxist economics and political philosophy, effected and realised by the Bolsheviks, the vanguard party who led the fight for the political independence of the working class. In the 1925–29 period, Joseph Stalin established Leninism as the official and only legitimate form of Marxism in Russia, by amalgamating the political philosophies as Marxism–Leninism, which then became the state ideology of the Soviet Union. 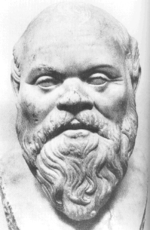 In the 19th century, The Communist Manifesto (1848), by Karl Marx and Friedrich Engels, called for the international political unification of the European working classes in order to achieve a Communist revolution; and proposed that, because the socio-economic organization of communism was of a higher form than that of capitalism, a workers’ revolution would first occur in the economically advanced, industrialized countries. Yet, in the early 20th century, the socio-economic backwardness of Imperial Russia (1721–1917) — uneven and combined economic development — facilitated rapid and intensive industrialization, which produced a united, working-class proletariat in a predominantly rural, agrarian, peasant society. Moreover, because the industrialization was financed mostly with foreign capital, Imperial Russia did not possess a revolutionary bourgeoisie with political and economic influence upon the workers and the peasants (as occurred in the French Revolution, 1789). So, although Russia's political economy principally was agrarian and semi-feudal, the task of democratic revolution therefore fell to the urban, industrial working class, as the only social class capable of effecting land reform and democratization, in view that the Russian propertied classes would attempt to suppress any revolution, in town and country. 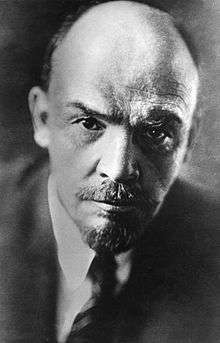 In April 1917, Lenin published the April Theses, the political strategy of the October Revolution (7–8 November 1917), which proposed that the Russian revolution was not an isolated national event, but a fundamentally international event — the first world socialist revolution. Thus, Lenin's practical application of Marxism and working-class urban revolution to the social, political, and economic conditions of the agrarian peasant society that was Tsarist Russia sparked the “revolutionary nationalism of the poor” to depose the absolute monarchy of the three-hundred-year Romanov dynasty (1613–1917).
. . . nothing holds up the development and strengthening of proletarian class solidarity so much as national injustice; “offended” nationals are not sensitive to anything, so much as to the feeling of equality, and the violation of this equality, if only through negligence or jest — to the violation of that equality by their proletarian comrades. 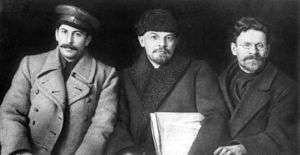 “The Old Bolsheviks”: Joseph Stalin, Lenin, and Mikhail Kalinin, in 1919, were members of the Bolshevik Party before the Russian Revolution of 1917. Until shortly before his death, Lenin worked to counter the disproportionate political influence of Joseph Stalin in the Communist Party and in the bureaucracy of the soviet government, partly because of abuses he had committed against the populace of Georgia, and partly because the autocratic Stalin had accumulated administrative power disproportionate to his office of General Secretary of the Communist Party. The counter-action against Stalin aligned with Lenin’s advocacy of the right of self-determination for the national and ethnic groups of the former Tsarist Empire, which was a key theoretic concept of Leninism. Lenin warned that Stalin has “unlimited authority concentrated in his hands, and I am not sure whether he will always be capable of using that authority with sufficient caution”, and formed a factional bloc with Leon Trotsky to remove Stalin as the General Secretary of the Communist Party. To that end followed proposals reducing the administrative powers of Party posts, in order to reduce bureaucratic influence upon the policies of the Communist Party. 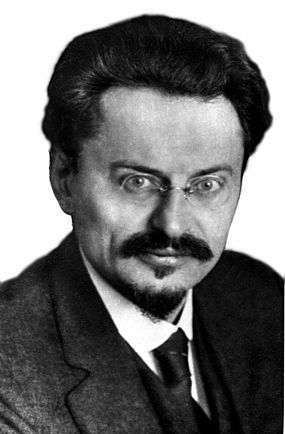 Lenin advised Trotsky to emphasize Stalin’s recent bureaucratic alignment in such matters (e.g. undermining the anti-bureaucratic Workers’ and Peasants’ Inspection), and argued to depose Stalin as General Secretary. Despite advice to refuse “any rotten compromise”, Trotsky did not heed Lenin’s advice, and General Secretary Stalin retained power over the Communist Party and the bureaucracy of the soviet government. 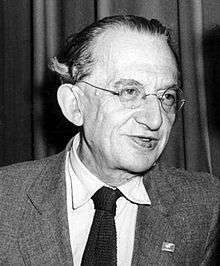 Trotsky (Lev Davidovitch Bronstein) was exiled from Russia after losing to Stalin in the factional politics of the Communist Party. In China, the Communist Party of China was organised as a Leninist vanguard party, based upon Maoism (Mao Zedong Thought), the Chinese practical application of Marxism-Leninism, that is Socialism with Chinese characteristics. In Singapore, the People's Action Party (PAP) was organised Leninist political party featuring internal democracy. The PAP initiated single-party dominance in the government and popular politics of Singapore. In The Nationalities Question in the Russian Revolution (1918), Rosa Luxemburg criticized the Bolsheviks and their policies for: the suppression of the All Russian Constituent Assembly (January 1918); the partitioning of the feudal estates to the peasant communes; and the right of self-determination of every national people of the Russias. As a Marxist, Luxemburg said that the strategic (geopolitical) mistakes of the Bolsheviks would create great dangers for the Russian Revolution, such as the bureaucratisation that would arise to administrate the over-sized country that was Bolshevik Russia. In defence of the expedients of revolutionary practice, in “Left-Wing” Communism: An Infantile Disorder, Lenin criticised the political and ideologic points of anti–Bolshevik critics who claimed ideologically correct stances that were to the left of Lenin. In Marxist philosophy, the term Left communism identifies a range of the Communist political perspectives that are the left-wing among Communists. 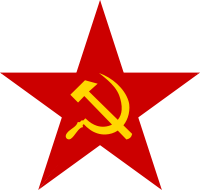 Left communism criticizes the political ideas that the Bolshevik Party practiced at certain periods of their history as a revolutionary vanguard party. Ideologically, the Left communist perspective is presented as more authentically Marxist and oriented to the proletariat, than the Leninist ideology of the Communist International, at their first (1919) and second (1920) congresses. 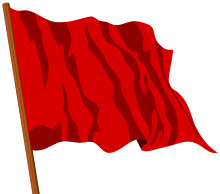 Proponents of Left communism include Amadeo Bordiga, Herman Gorter, Antonie Pannekoek, Otto Rühle, Sylvia Pankhurst, and Paul Mattick. The public intellectuals Aleksandr Solzhenitsyn (The Gulag Archipelago, 1973) and Noam Chomsky (“The Soviet Union Versus Socialism”, 1986) each has said that Stalinism was not an ideological deviation from Lenin's policies, but a logical extension of Leninism. 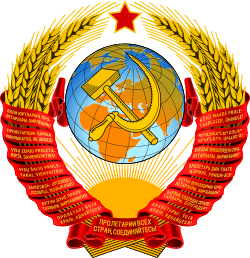 The resulting soviet model of Communism in Russia featured a political system that organised labour by collectivization and enforced the law with a police state, continually supported with a totalitarian political ideology. At the very beginning of our book, we gave a conspectus of the'waves pouring into the Archipelago [labour camps] during the two decades up to 1937. How long all that dragged on! And how many millions there were! But the future call-up of 1937 didn’t bat an eye and found it all normal. . . .
And for a long time after, as they became convinced of the irrevocability of their fate, they sighed and groaned, “If only Lenin were alive, this would never have happened!” What did they mean by this? Was it not precisely this that had happened to the others before them? 1 2 3 The New Fontana Dictionary of Modern Thought Third Edition (1999) pp. 476–477. ↑ The Columbia Encyclopedia, Fifth Edition. (1994), p. 1,558. ↑ Lenin, Vlaimir (1920). "No Compromises?". Left-Wing Communism: an Infantile Disorder. USSR: Progress Publishers. Retrieved 5 January 2013. 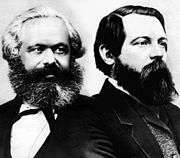 ↑ Marx Engels Lenin on Scientific Socialism. Moscow: Novosti Press Ajency Publishing House. 1974. ↑ Kenneth M. Roberts, Deepening Democracy? : The Modern Left and Social Movements in Chile and Peru (1988) pp 288–89. ↑ "The Nationalities Question in the Russian Revolution (Rosa Luxemburg, 1918)". Libcom.org. 2006-07-11. Retrieved 2010-01-02. ↑ Steven Merritt Miner (May 11, 2003). "The Other Killing Machine". The New York Times. ↑ Noam Chomsky (Spring–Summer 1986). "The Soviet Union Versus Socialism". Our Generation.